Fun Fact: You don’t need to peel carrots, the peel is 100% edible. Here’s a tasty little tidbit about carrots (pun intended). Lately, I’ve been spending a lot of time searching the web for all things composting related, and in my Internet travels I have encountered many pictures of compost that include carrot peelings. If you are going to peel a carrot, then composting is the best way to go in my opinion. 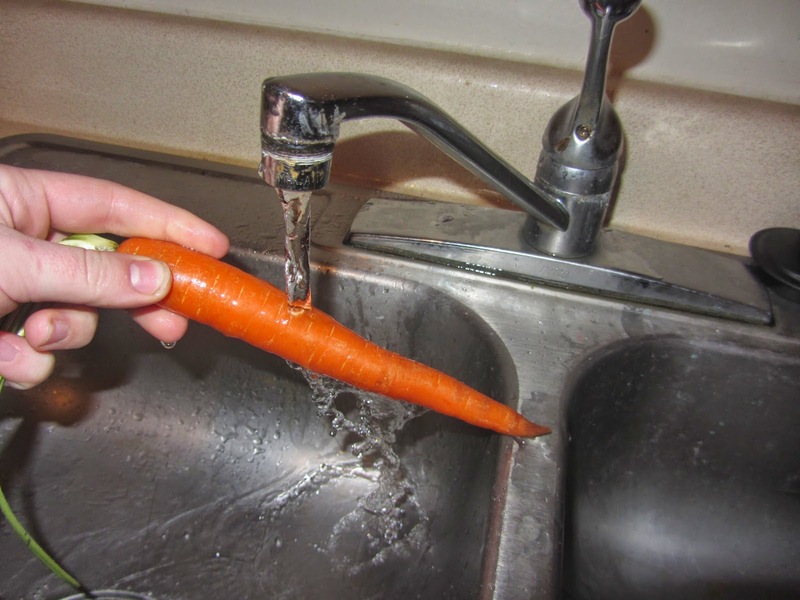 But an even better option is to simply wash all the dirt off of your carrot before eating! I just use water to rise off my produce, but if you still don’t feel that it’s clean enough, then you can make a solution of vinegar, water and lemon juice. I’ve seen many ratios of these ingredients used in different variations of this recipe, but a pretty common one seems to be 1 cup water with 1/2 white vinegar and a couple tablespoons lemon juice. Many grocers now sell specific soap for washing veggies if you aren’t into making your own. 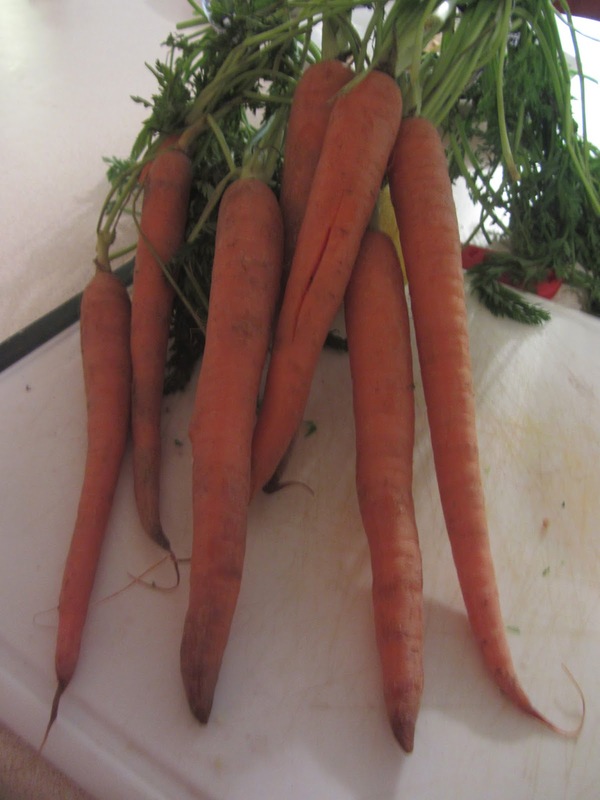 Though I don’t peel my carrots I do usually cut the ends off if they are starting to look a little old or wrinkled. In other news…Stay tuned for a step by step look at how I got started composting! When are you going to talk about composting? I’ve been waiting for that one! You know I’m not gonna lie, I had totally forgotten about this! Thank you so much for reminding me. I definitely need to get on that.